Before PA School I didn’t think life could get any busier. Studying for undergraduate finals, working part-time and shadowing left me feeling like there was no end to the chaos. Being a Pre-PA I felt incredibly busy. I’d imagined that though PA school would be tough, things would slow down and I could just focus on studying to be a Physician Assistant. I’d imagined wrong. Physician Assistant school is its own type of chaos. After a brief Anatomy hazing, you move full speed ahead, taking two to three “finals worthy” tests a week, memorizing nerves, medications, and pathophysiology. Then preparing for OSCEs and skills labs, Evidence-Based Medicine and finally clinical rotations. Once graduated, the new Physician Assistant seeks a job to help repay loans and then is fully immersed into that first year after graduation, with more studying on days off. By this time many PAs start adulting.. buying houses, contributing to retirement, traveling, getting married and some start having children. The bottom line is that life as a practicing PA does not get simpler, and your time becomes even more precious. In the past 8 years, I’ve picked up some “life hacks” and simple ways to be more efficient in your daily life as a Physician Assistant and have found that they also apply to Pre-PAs and PA students. The bottom line is that life as a practicing PA does not get simpler, and your time becomes even more precious. In the past 8 years, I’ve picked up some “life hacks” and simple ways to be more efficient in your daily life as a Physician Assistant and have found that they also apply to Pre-PAs and PA students. I have loads of suggestions for busy PAs, both at work and at home. This post is full of helpful links that will help you navigate to products and also contains affiliate links which will support the Empowered PAs website costs if you use them (thank you!). When you are busy working, caring for patients, planning things in advance can help calm the chaos. Planning can also leave you some mental space to be creative and do the things you love without the interruptions of daily PA life. I’m a huge fan of google calendar, but use whatever works for you and your situation. For those without kids, but with busy work or travel schedules, it can help keep you organized. In my home, because we have multiple ER schedules with two working parents, schools, and nanny schedules, we live and die by the calendar. I use the “Informant” App to help me visualize my month on my iPhone but use what works for you! What is the most important thing in your life right now? Traveling? Learning new skills at a conference or retreat? Time with your family? Healthy meals? Whatever it is, plan for it, then put it on the calendar! Meal plan. Whether you use a grocery service or do it the old fashioned way, meal planning ahead of time can help you during a busy workweek. Don’t make it complicated, pick a day once a week to write down what’s for dinner in a notebook or use a meal planning pages then add it to your calendar. This could also be an entire article but to keep it basic, find 5 or 6 dinners you like and rotate them. You can get fancy with meal prep boxes, or just remember to pull the chicken out of the freezer the night before. Consider huge time savers like pressure cooking with the Instant Pot, or using a slow cooker. Plan date nights or fun time with friends. Make time for the special people in your life by planning ahead! This assures you are on their calendar and gives you something to look forward to amidst a busy week taking care of patients. Plan and book annual vacations early. Block the time out on the calendar so that no one else plans something on accident. Schedule time to exercise. Put it on the calendar and it will help you stick to your goals! Well, it might not, but it’s worth a try and you’ll be more organized. CMEs and PA license renewals. If you go to conferences for your CMEs or if you take them online, you should definitely plan ahead. Conferences need to be booked ahead of time and put in the calendar. CMEs on your own time an be broken down into time increments so you are completing them in regular intervals. Conferences or retreats. While I do LOVE a good Physician Assistant conference (Ahem… Executive Leadership Conference..Ahem) there are personal conferences or retreats you may be interested in that you should plan for. This is so important! Spend some time working on yourself. Why is this a “life hack”? Because PAs get burned out. Focus on this early in the game and you’ll be happier in the long run. PAs are especially bad at focusing on themselves. Plan some fun time for yourself, separate from family and friends. Go to yoga retreats, learn to draw or paint, plant a garden or do what makes you happy. I’ve recently re-discovered my love of reading by listening to audiobooks on Audible. I don’t have time to read at home, an on the rare occurance I do, I’m often bombarded by little hands and requests for attention. The hour-long commute I have provides me with two hours of “reading time” and allows me to focus on myself! EMR is often mistaken for a four letter word in the medical world. 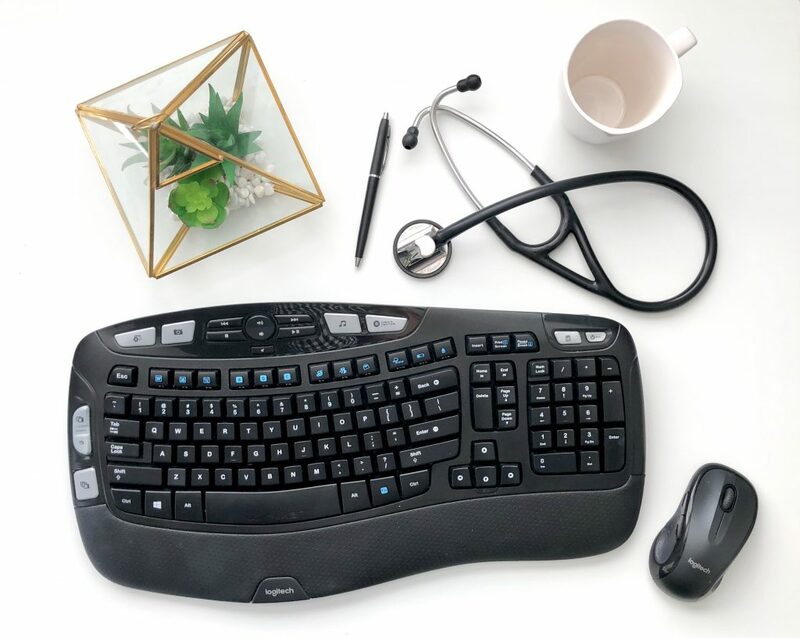 However you document, be it using a dictation and transcription service, microphone dictation such as Dragon, EMR systems like Epic or Cerner, learn how to maximize your charting as a Physician Assistant. EMR Macros/templates. If you have the ability to create a template within your EMR, use it! Things like dot phrases can save you HUGE amounts of time on the back end, though they take time to create up front. If you have an EMR that merges with Dragon dictation, you might have the ability to use verbal commands to insert these dot phrases, which is also another timesaver. Start simple with a basic physical exam for adult or child, then add whatever you document commonly. At work, I have a PE template for a basic exam, and one for a focused URI exam (more detail on HEENT, Respiratory, Lymph exams). I also have a medical decision-making template about what education I provide patients or families about an influenza positive patient (monitor for respiratory distress, hydrate well with an electrolyte containing solutions, reasons to return, etc). This topic could an entire article in itself! Dictation cards. It’s old school, but still, many Physician Assistants have to dictate to a recorded line, which a transcriber then translates into a patient note. In 2011, I was working in a place that did this and I used a dictation card every day for the first year I was a PA. It had the outline of an H&P (example: History, ROS, Allergies, Meds, Surgical history, Family Hx, Social Hx, Physical Exam, DDX/MDM, Plan, and Disposition) on it so I wouldn’t forget what was next! It helped keep me on task when using our dictaphone. I also got really good at speaking fast! You can use something like H&P pocketcard or make your own. Laminate this baby and make copies! Get a great patient history. While you don’t want to be spending all day getting histories, using things like H&P Notebooks, Progress or SOAP Notebooks can help you move along at a faster, more efficient pace while also assuring that you will not miss anything. The sooner you understand how to properly chart so that coders can understand what you did for the patient, the better you will be able to support the team! Coding can be confusing so I recommend you reach out and ask questions. Most billing services have a specialist you can speak to or you can also ask your colleagues if they have coding or documenting pearls of wisdom. Knowing how to manage your time can shave literally hours out of your week. Time management is something I’m constantly working on, and definitely, don’t have mastered. This could refer to how long it takes you to see or discharge a patient, write a note or do a procedure. Self Assessment. Are you on par with your PA colleagues? Do you stay late and others go home on time? How long does it take you to see patients? Is this similar to other PAs, NPs or physicians? Be honest with yourself and you’ll see improvements immediately. Watch the pros. Who do you work with that manages their time well? Watch them and follow their lead. Find your gaps. This is tough, but critically evaluate the areas you could work on the most! This could include your average number of patients, length of stay, billing/revenue, charting deficiencies, interpersonal relations (soft skills) or clinical knowledge gaps. Ask around. If you can’t tell where your gaps are, ask a colleague you trust to give you feedback. Stop chatting so much. Guilty! I know I could have my charts done on time if I’d stop talking so much. I suppose it’s good that I like my colleagues but I’d also like to leave on time. Recently this business has been booming and thank goodness it has! Grocery delivery is becoming the standard for busy and working people, and can really make a difference in your weekly life. Cutting out this one errand can save you time, and money if you are an impulse shopper. Delivery Services like Amazon Fresh, Prime Pantry or Shipt are lifesavers for busy PAs. You can order groceries online, then get them delivered on your time. Many stores such as Target, Sam’s Club and Walmart all have easy pickup options! With Sam’s Club, you can order through an app, then pick up in the store. Some Target and Walmart stores now have the ability of online ordering, then they will deliver to you in the parking lot! If these stores aren’t close, ask your local grocery store if they have similar options. Until recently, I had no idea such services existed! I’d always relied on word of mouth, but now I know I can schedule things around my crazy ER schedule. Amazon services has a wide array of vetted and rated home services including house cleaning, yard work, home improvements, computer and electronics, smart home services.. the list literally goes on. They will even assemble large furniture or equipment. Amazon outsources local services to do the work, all of which are rated just like any other Amazon product. You can book appointments on your time which is why this is so amazing. Pool maintenance. If you can calculate and anion gap, you can maintain your own pool.. but do you have the time? Is it worth the cost to allow someone else to do the cleaning, scrubbing and general maintenance for you? I thought so. Find a service by asking around. If you own a home, lawn work can be a drag. Outsource it and set yourself free! Ask your neighbor who they use for their lawn services, often the service will give a discount if it’s on the same block. Consider minimalistic landscaping to reduce your time working in the yard. Remember that the more things you add to your yard, the more you have to weed around! Try Amazon Home Services for Yard work, landscaping, pressure washing, gutter cleaning and odd jobs. While I used to love doing my own travel planning, now that I’m a busy Physician Assistant (and a parent), it takes up precious time and energy. Let someone else worry about the finer details, there are often discounts they can help you take advantage of. Keep using them and you may gain a friend for life who will give you a heads up on great deals. Automated bank transfers and billing makes life so easy, I feel silly even bringing it up because I’m sure the majority of people already use this function. For billing, if you don’t want to connect your debit or credit card, use an online service such as paypal, venmo or stripe. For savings, set up an automatic transfer into your savings account- even if it’s small, it adds up and didn’t take any effort. Full disclosure: I have always been incredibly cheap frugal when it comes to buying clothes. The honest truth is that it used to take me an entire day to go shopping. For weeks ahead of time I’d scour the internet and look for the best deals, then have someone watch my kids, then drive all over town, going to stores like Marshalls and TJMaxx, dig through the clearance racks. It would take hours, and honestly, I’m always exhausted by the process. As a busy Physician Assistant, my time is precious, and the increased cost is worth it! 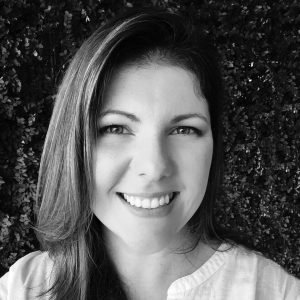 StitchFix is fantastic for Physician Assistants who have to wear professional clothing. You pick your price point, and your delivery schedule, and a stylist sends you a box of items, you try it on then return the things you don’t want. You are charged a “styling fee” of $20 which goes towards the purchase of items and if you buy the whole box you get 25% off the whole purchase. Their sizes range from 0-24, and they have services for women, men and even kids(!). I have used this service, and have been happy so far. If you want to get $25 (and I’ll get credit too), you can use my referral link here. Prime Wardrobe is Amazon’s clothing delivery service and another great option for busy PAs. Norstrom’s Trunk Club is an option for those willing to pay for quality, but want the convenience of a delivery service. This may seem silly, but keeping things simple by removing the need to care for one more thing can cut down on your day to day tasks. From fake trees, to succulents, artifical plants will make your life easier. The cost upfront is more, but the time you save is worth it. If you are a parent, the chaos of getting kids out the door to daycare can be overwhelming. If you can afford it, the convenience of someone coming to your home to care for young children may be worth the extra cost. Your kids get one on one attention, and you don’t have the rush of trying to get you and the children dressed and ready to go on time. Whew! That’s a lot of links! 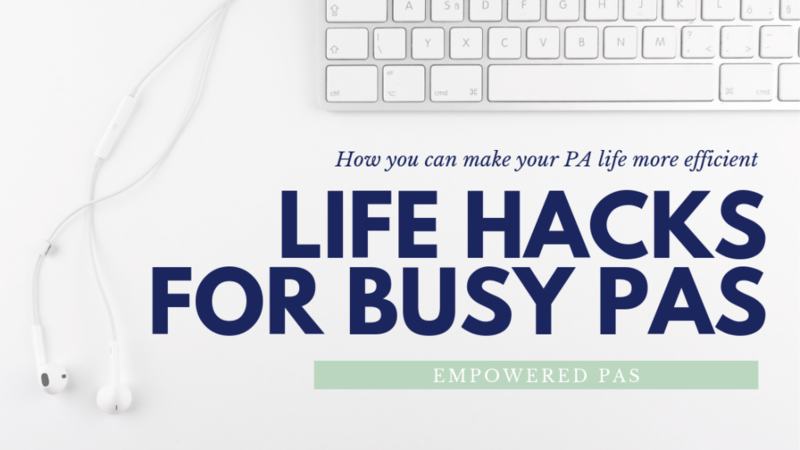 Being a busy PA means your time is limited, and I hope this article helps you design your life as a Physician Assistant so you are more efficient at work and at home. What PA life hacks do you have that make your life easier?